Almost everything that involves a transaction can earn you frequent flyer points but some earn quicker than others... like a space fight, if you can afford it. In a move that sounds more sci-fi movie than reality, Virgin recently announced that if you earn enough frequent flyer points, you could be flying Virgin Galactic into outer space. With frequent flyer points a hot topic, Celeste Mitchell sorts the wheat from the chaff. It’s not quite reason enough to refinance, but choose Macquarie Bank’s Basic Flyer home loan and you’ll nab 10,000 Qantas Frequent Flyer points for every $100,000 drawn down, plus bonus points each month and on ‘anniversaries’ down the track. 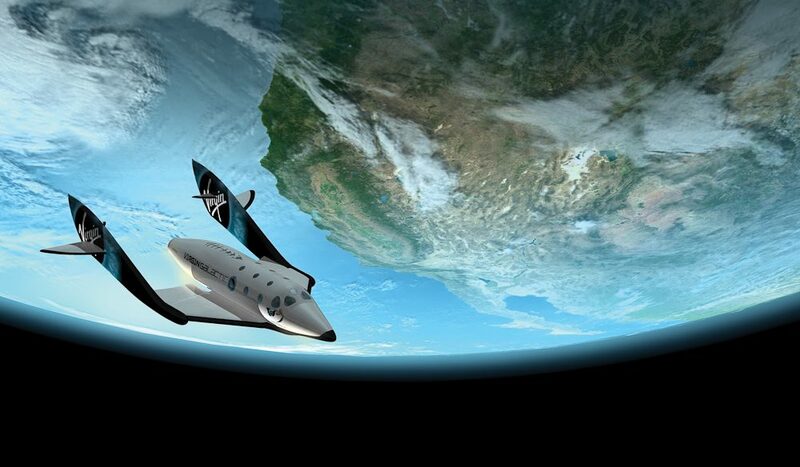 Drop a cool US$250,000 on a Virgin Galactic flight, earn 100,000 Velocity points. Rack up 300 Velocity points per restaurant booking, or 100 points per diner with Qantas, when you book online at bookarestaurant.com or restaurants.qantas.com.au respectively). Book your next overnight rendezvous (or, you know, just a hotel room) via the airlines’ respective hotel booking sites (Qantas.com/hotels) and earn three points per dollar spent. The Velocity eStore – linked with e-tailers like ASOS, eBay, Apple and Net-a-Porter – will give you two points for every $1 spent. Think: Skydiving voucher from Red Balloon (798 points); new MacBook Pro (4398 points); stocking up on toiletries from Priceline (how long is a piece of floss?). Qantas’ recent adjustments to their program – earn more points on flexi fares, and less on discount tickets – suffered bad press, but is actually a better deal overall, reckons chief marketing officer Stephanie Wilson. Discount economy fares aside, all fares “will actually now earn you more points,” she says. Earn one Qantas point for every dollar spent booking a cruise through Qantas Cruising, or three Velocity points for every dollar with CruisePilot. Download a special Qantas toolbar, and every time you make a valid search you’ll earn one… single… point, up to a total of 150 points per month. Every bank’s got a points-earning card on offer (most offer one point for every $2 spent) but Tom Godfrey, media manager at Choice, reckons they’re “not great value unless you’re a big spender on your card.” Which… well, we are. Earn two Qantas points per dollar spent on your personal Optus mobile or broadband bill. Shop at Woolies and earn one Qantas point per dollar when you spend over $30; order wine from Cellarmasters and earn one for one regardless. If you’re willing to make the switch, the new Bankwest Qantas Transaction Account gives you 12 Qantas points for every $100 you leave in the bank each month. Earn six Velocity points per $1 spent on your energy bill, if you use Lumo Energy and link to Velocity. During winter, you’ll be reaping the rewards in no time! I had to write a comment because my lovely baby girl has the exact same name (first and last) as the author. Useful tips by by the way too.